Start and end in Buenos Aires! With the hiking & trekking tour Classic Patagonia Treks, you have a 11 day tour package taking you through Buenos Aires, Argentina and 6 other destinations in Argentina. 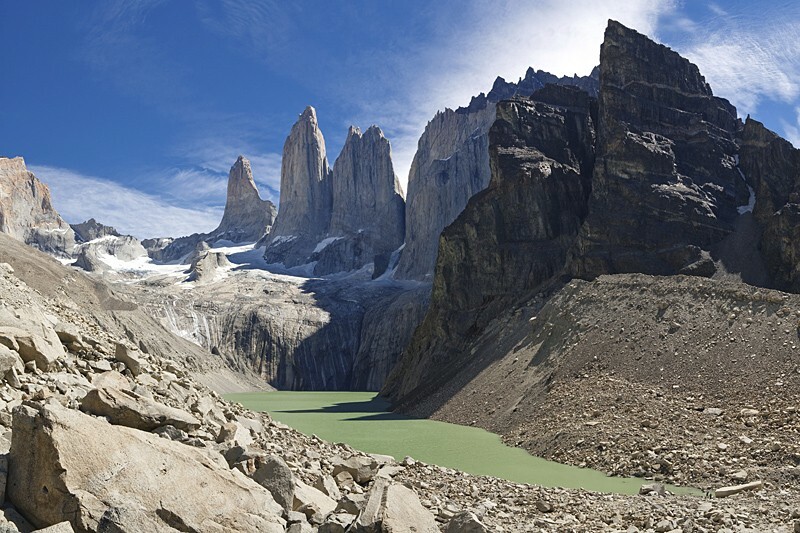 Classic Patagonia Treks includes accommodation in a hotel as well as an expert guide, meals, transport and more. Day 1: Start El Calafate; visit Perito Moreno Glacier. Day 2: Travel to Torres del Paine N.P in Chile; transfer to first refugio. Day 3: Trek to the base of Las Torres viewpoint. Day 5: Trek to Valle Frances and on to Paine Grande. Day 6: Trek to Glacier Grey viewpoint; catamaran and bus transfer to El Calafate. Day 7: Free day at leisure to take part in optional excursions in and around El Calafate. Day 8: Transfer to El Chalten; free afternoon. 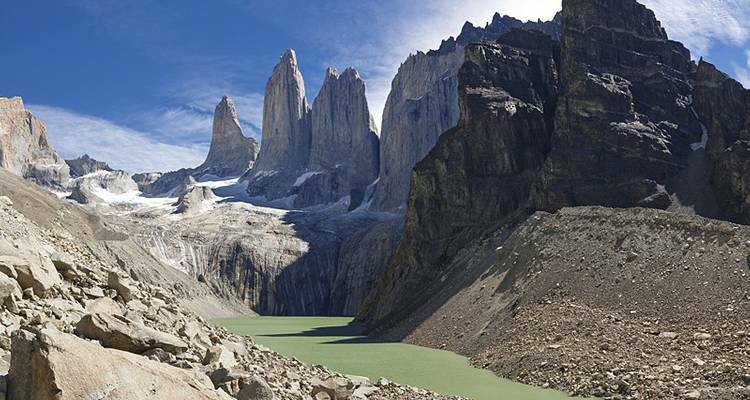 Day 9: To Los Glaciares National Park; trek in Fitzroy Massif up to Laguna de Los Tres. Day 10: Trek to Torres Glacier and Cerro Torre viewpoint; return on foot to El Chalten. Day 11: Transfer to El Calafate; fly back home. TourRadar only requires a deposit of $99 to confirm this Exodus Travels booking. The remaining balance is then payable 60 days prior to the departure date. For any tour departing before 19 June 2019 the full payment of $5,083 is necessary. No additional cancellation fees! You can cancel the tour up to 60 days prior to the departure date and you will not need to pay the full amount of $5083 for Classic Patagonia Treks, but the deposit of $99 is non-refundable. Covering a total distance of approx 7,328 km.